Video phones were once seen as the future. Why would you want to merely talk to people when you could see them as well? And thanks to smartphones, messaging apps, and video calling that has come to pass. But do we really need hardware dedicated to video calling? Facebook thinks so, hence the arrival of Portal and Portal+. 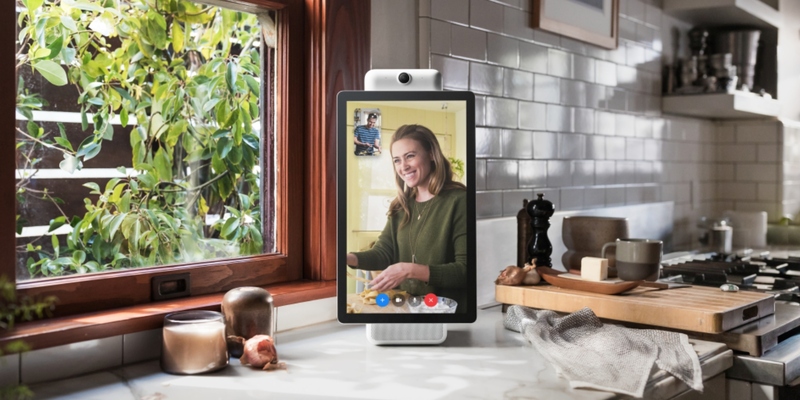 According to Facebook, both are “video communication devices” designed to make video calling easier and help you “enjoy quality time with family and friends—hands and distraction free”. The Portal boasts a 10-inch 1280 x 800 static display, while the Portal+ boasts a 15-inch 1920 x 1080 pivoting display. Both feature Facebook’s Smart Camera and Smart Sound technologies, as well as hands-free voice controls powered by Alexa. This is bad timing from Facebook, because, as you’re probably aware by now, the social network recently suffered a security breach affecting as many as 90 million users. And now Facebook is trying to sell us something designed to watch our every move. Still, there are some security features: You can disable the camera and microphone, there’s a built-in camera cover, and you can set a passcode for access. Video calls are also encrypted, and Facebook promises not to “listen to, view, or keep the contents”. The Portal and Portal+ are both now available to pre-order in the United States. You can order one directly from Facebook at portal.facebook.com, or from Amazon or Best Buy. The Portal costs $ 199 and the Portal+ costs $ 349, with shipping starting in November. Portal from Facebook is obviously competition for the Echo line, so be sure to read our Echo Show review before pre-ordering. And with Portal using Facebook Messenger for its video calls you should check out the Messenger features everyone should try.